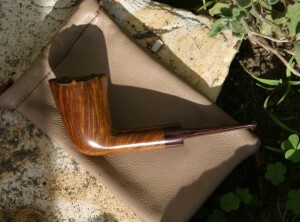 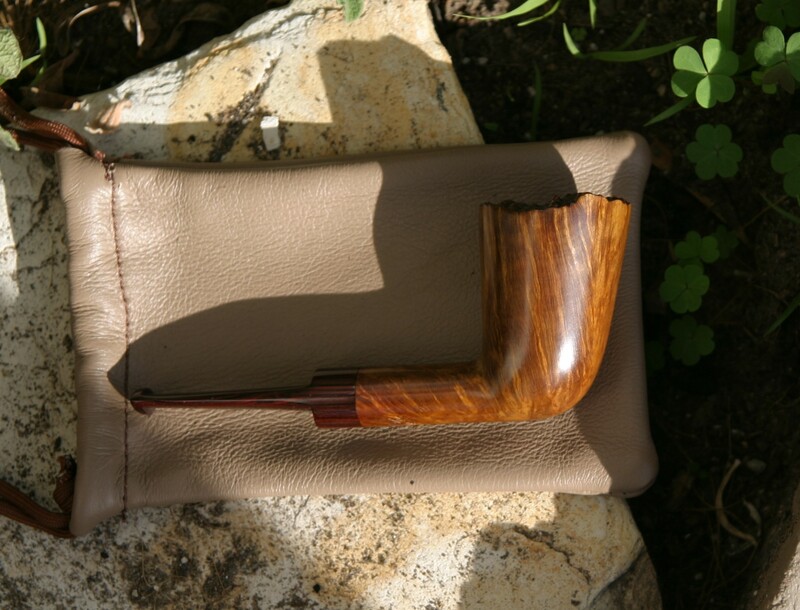 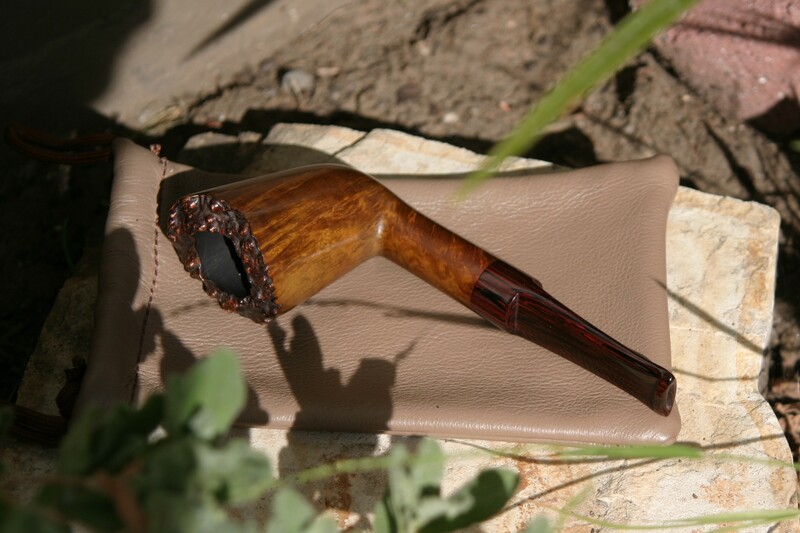 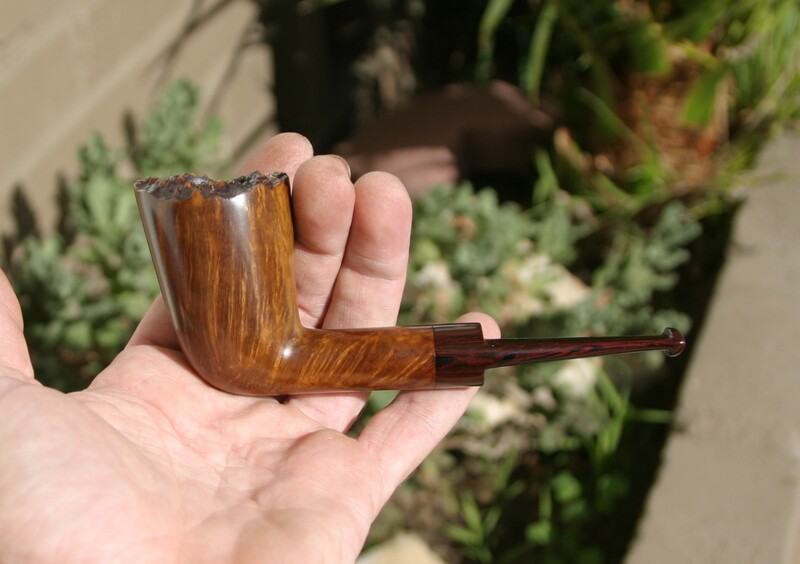 Italian Plateau briar. 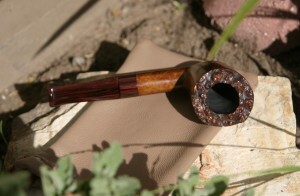 German Ebonite rod. 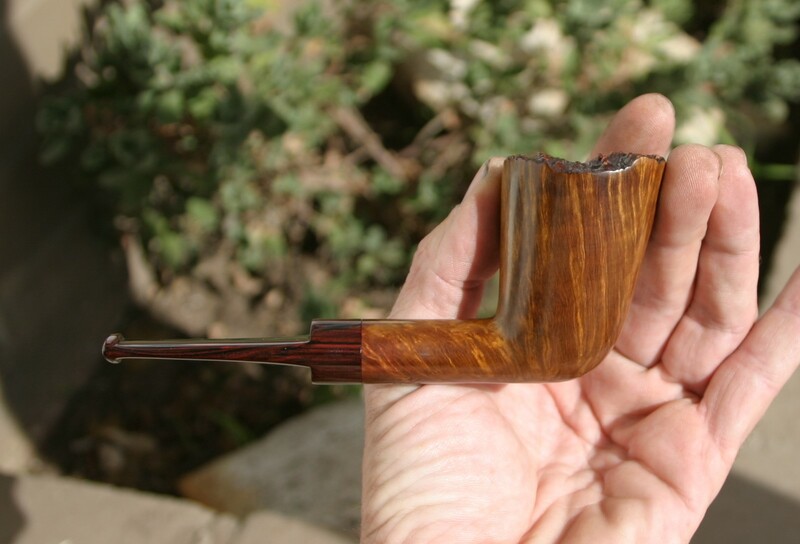 Bowl is approximately 3″ tall. Stem is 5/32″ taper-drilled and v-slotted.